Is Jeremy Renner Taking Aim at Hawkeye? 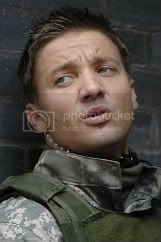 / It's Just Movies Is Jeremy Renner Taking Aim at Hawkeye? Is Jeremy Renner Taking Aim at Hawkeye? 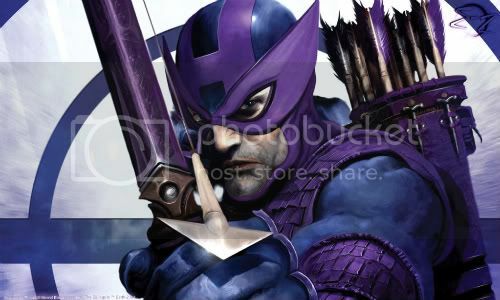 Head Geek himself Harry Knowles, is reporting over at Ain’t It Cool News that a “first time source” of his has revealed that “Hurt Locker” actor Jeremy Renner is almost a lock for the lesser-known superhero Hawkeye in the upcoming “Avengers” flick. If this indeed turns out to be true, it reveals the plans of Marvel and director Joss Whedon on the direction they plan to take the epic superhero team-p.
At first glance,it appeared “The Avengers” would be a straight down the line team up of Iron Man, Thor, Captain America and The Hulk. But with this news and the other “scooped” and then “de-bunked” rumblings of Nathan Fillion as Hank Pym (aka Ant Man) these last few weeks, as well as the whispers of bigger roles for Black Widow and Nick Fury following “Iron Man 2,” it appears the eventual product of such a super squad team up could turn out to be an entirely different beast. As always, take this ALL with a large handful of sodium chloride. Personally, if the Nathan Fillion rumour turns out to be true, and with Whedon at the helm it’s semi-plausible, I would be extremely chuffed (that’s an understatement!). So until we hear more, keep it locked to IJM for more Avengers developments in the lead up to the biggest superhero mash up in history. remember when the rumor first poped up a few months back. i would like if he does nab the role. Hopefully it becomes clear in the next few months what additional characters/actors will be in the film. I think he is a great actor and would love to see him in that role.